Sandi of Fearless Dining is the absolute queen of 7-Layer Bars. 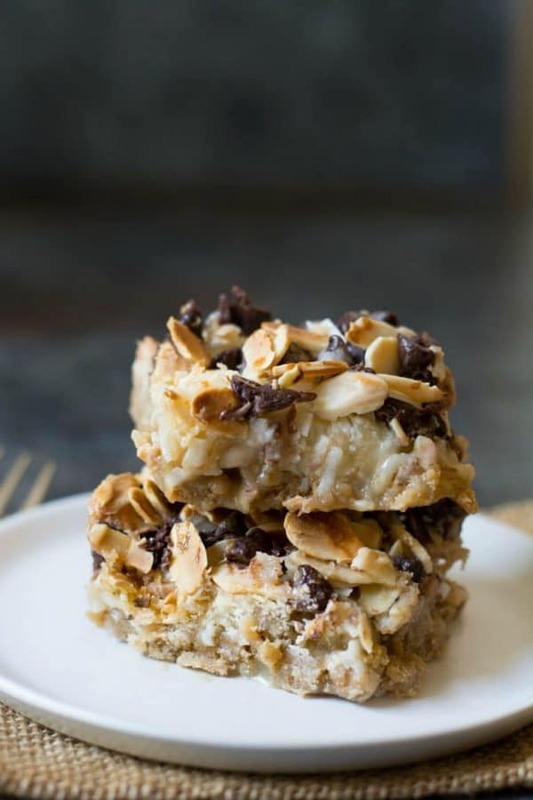 Gluten-free 7-Layer Bars! 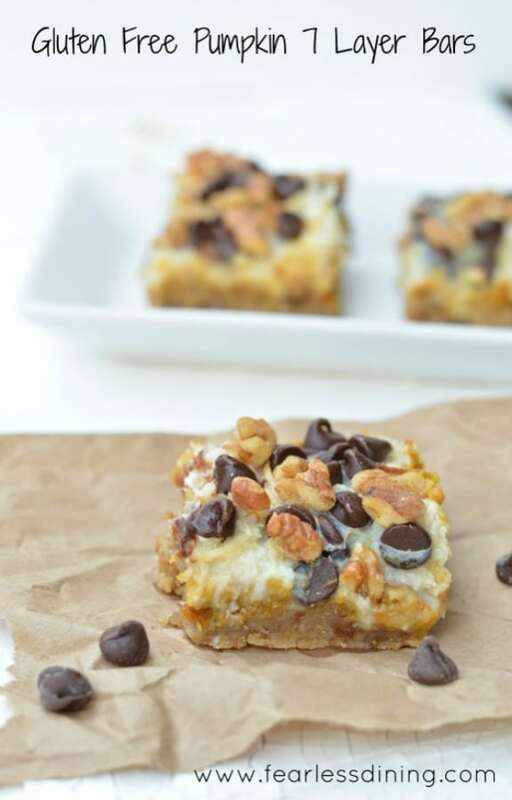 Like gluten-free Pumpkin 7-Layer Bars. Some of you actually might call these bars Magic Cookies Bars instead. Or simply gluten-free Magic Bars. 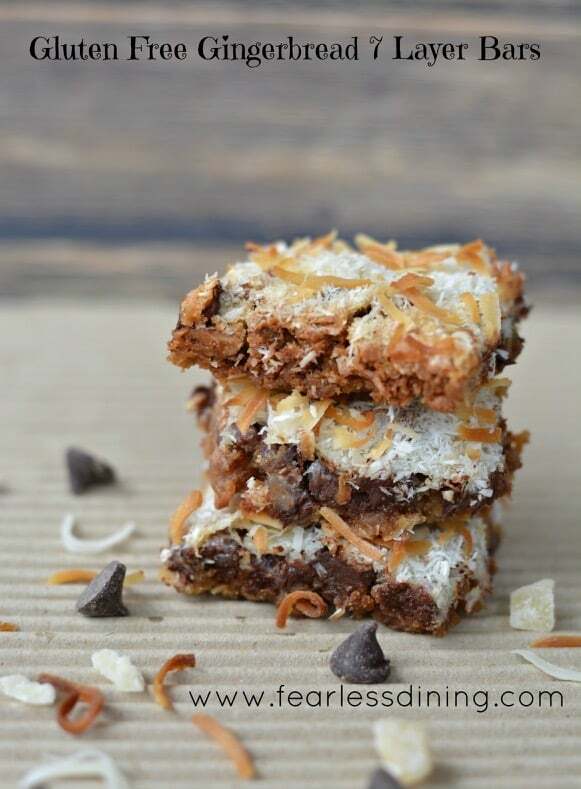 Or perhaps 7-Layer Magic Cookie Bars. Whatever you or I call them, they are gloriously, gooey-ly good! Especially Sandi’s versions. And you’ll be happy to see that Sandi has a delicious recipe for all the current and upcoming seasons and holidays—gluten-free Pumpkin 7-Layer Bars, Caramel Magic Bars, Gingerbread 7-Layer Bars, Peppermint 7-Layer Bars, and Valentine’s 7-Layer Bars. She keeps adding new flavors, so I keep updating this roundup! Thanks, Sandi! What delicious fun to know that you can enjoy 7-Layer Bars for every holiday, every season! Originally published October 3, 2015; updated September 2, 2018. Wow, I really appreciate your sharing these recipes. My kids have been driving me crazy with their requests for me to make these again. Thank you so much. Sharing all around. Ah, it’s been years since I’ve made 7 layer bars, and I’ve never made flavors like these – brilliant! It was so great to find your blog through Gluten Free Fridays at Vegetarian Mama! 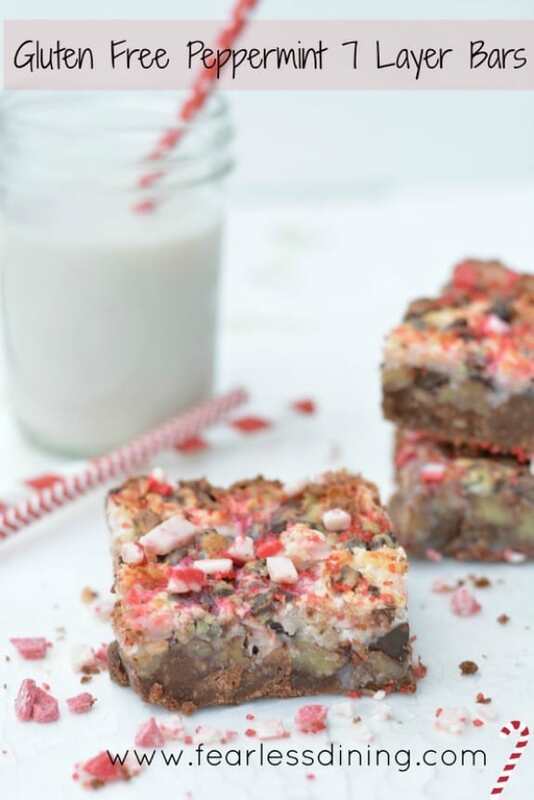 While the pumpkin seven layer bars are most certainly in season, the peppermint ones are right up my alley. Thank you for sharing, and I hope you have a wonderful weekend! Hi Kaila–Welcome! 🙂 I love that this roundup of Sandi’s recipes has something for everyone. 😉 Have a great week! Wow! So many options to choose from!! Sunny (And Love It Too) has a coconut milk sweetened condensed milk on her site…I would love to try that here in the pumpkin ones! Featuring this post on Allergy Free Wednesday this week, thanks Shirley! Sandi is a lovely person and she creates such fantastic recipes! 7-Layer Bars are a favourite of mine. I’m so glad you have shared this round up with us at the Hearth and Soul Hop, Shirley. Thanks for sharing this again Shirley. Sharing all around. Have a great weekend. 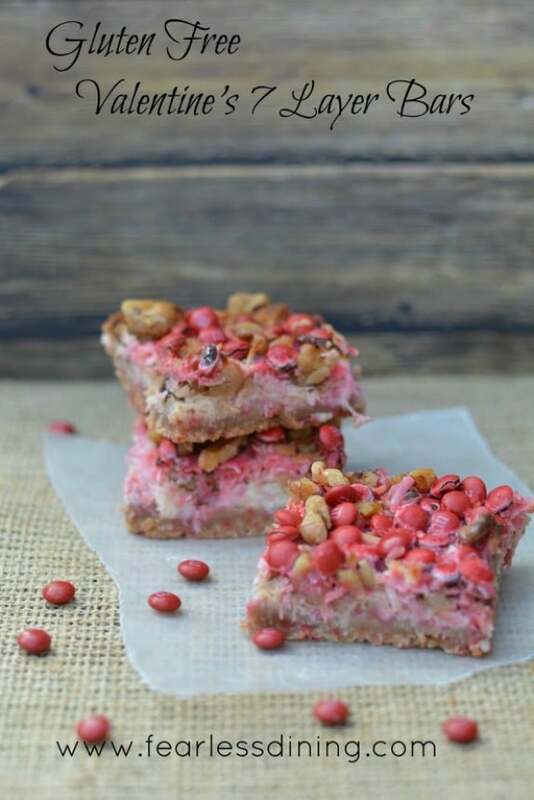 Thank you so much for sharing these bars Shirley…you are inspiring me to think up some new flavors to add to my growing list….maybe something different like trail mix? Last, always happy to share your recipes, of course! Hi Shirley, I am loving seeing all the gluten free recipes, yours looks amazing. Pinned to share! Would love to have you stop by and share on my Friday party. Judee–Aren’t they fun for all ages? I can’t wait to see what Sandi comes up with next!